reset switch, top and bottom side. standard 6 pin ISP programming connector. SKU: 3. Category: ATtiny85. Tags: ATtiny13/25/45/85 PCB, ATtiny85, ATtiny85 PCB. 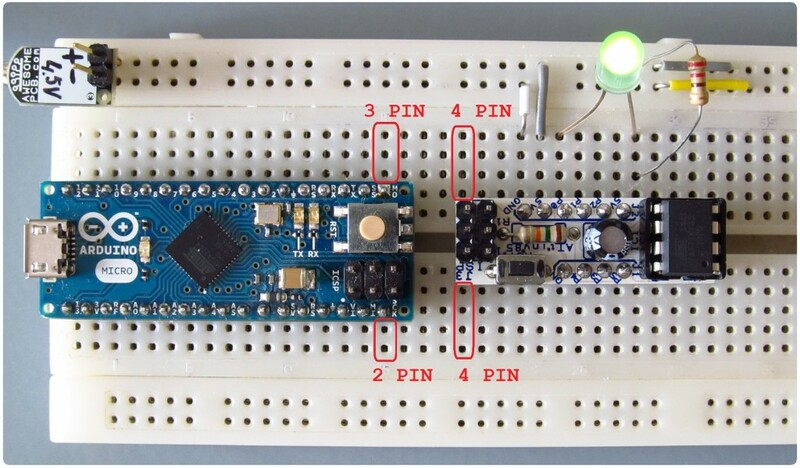 This project is created with the basic idea to provide tiny, not expensive and versatile PCB for ATtiny25/45/85 microcontroler, that you can leave it in your project with no regret of losing expensive Arduino board. With the fraction of the Arduino price this small, but powerful uC ATtiny25/45/85 can be leave wherever you want. Many project can be simply shrink down to fit in to ATtiny85 with 8k of flash memory. PCB fit to 8 Pin IC’s like ATtiny13, ATtiny15 ,ATtiny25, ATtiny45, ATtiny85. This small PCB fit in to the bread board, so you can develop your idea at first. And when you are ready just leave it in your final project because of their price. 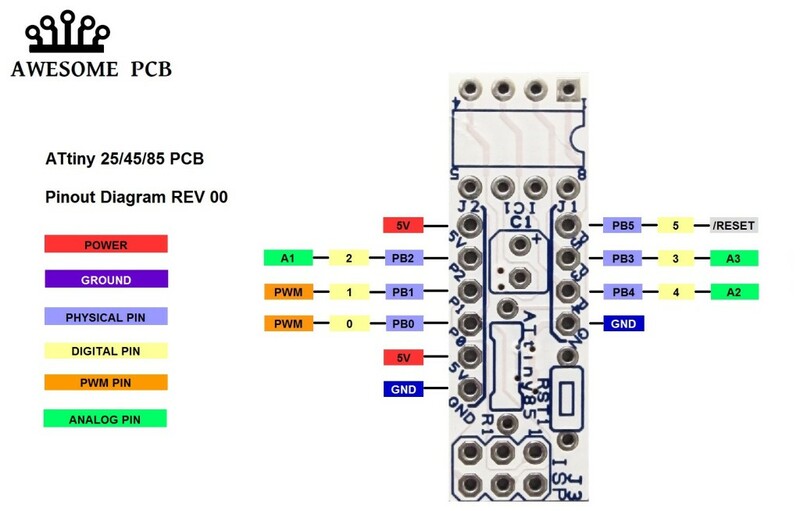 What is nice about ATtiny25/45/85 PCB that it have extremely narrow design that you can use 4 pins on each side of the bread board. For compare you can see how many space do we lose with Arduino Micro. 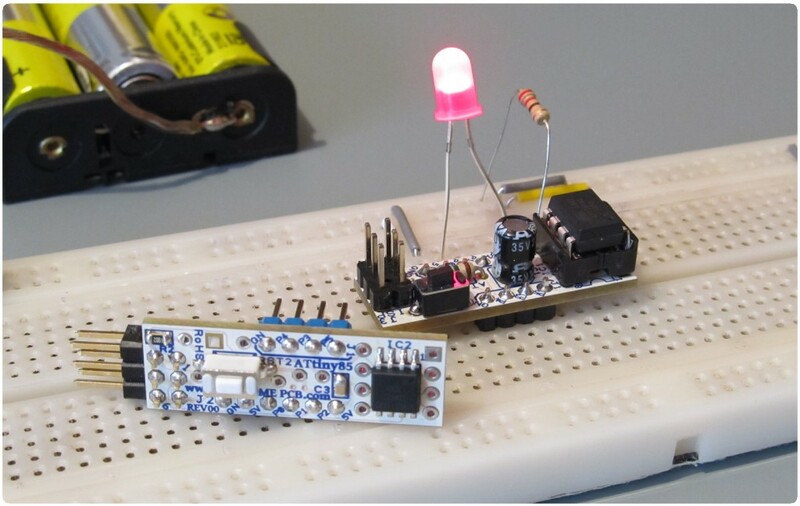 Here is an example of classical blinking sketch running base on ATtiny25. 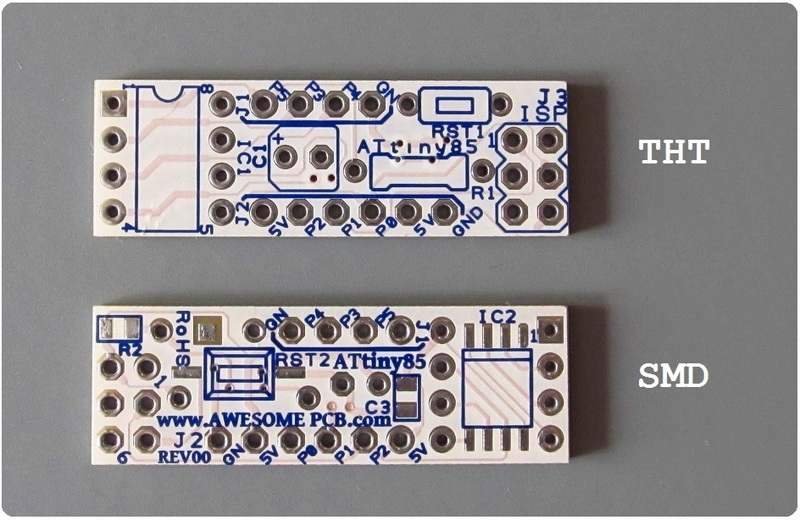 What makes this PCB so cool is that it is full reversible SMD and THT. It mean that depending on your soldering skills you can use one of the two options, SMD on one side and THT on the other side. You can also mixed both version depending on components in your warehouse. Another example show ATtiny85 running OLED display SSD1306 via I2C interface. Standard 6 pin ISP connector allowed you to program in easy way ATtiny25/45/85. 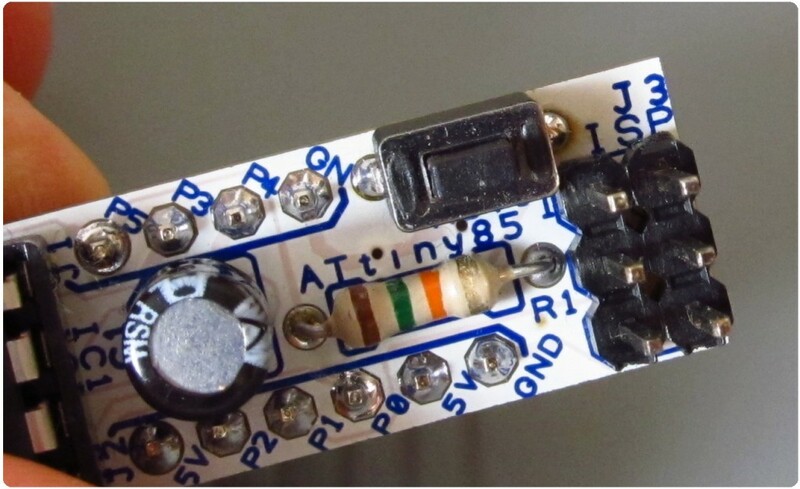 Pin of the ATtiny85 PCB.